How to Customize Element Templates in Doc. Composer? 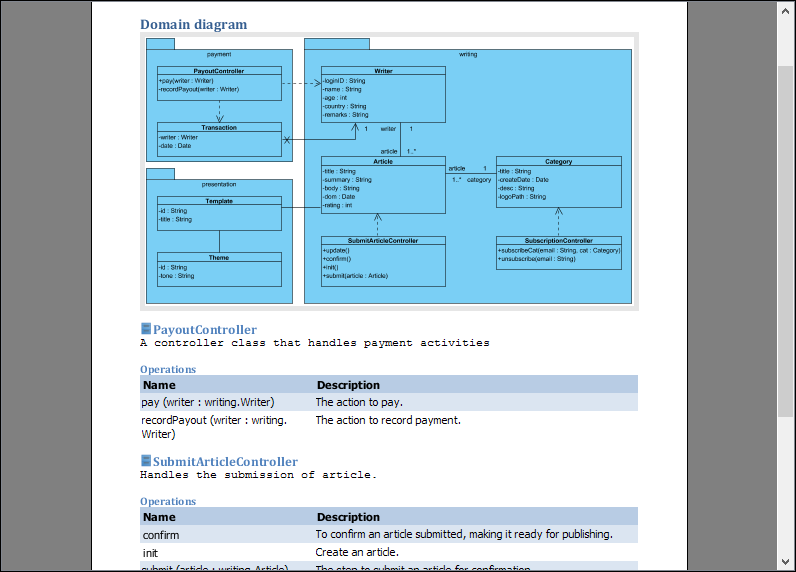 Current: How to Customize Element Templates in Doc. Composer? Although Doc. 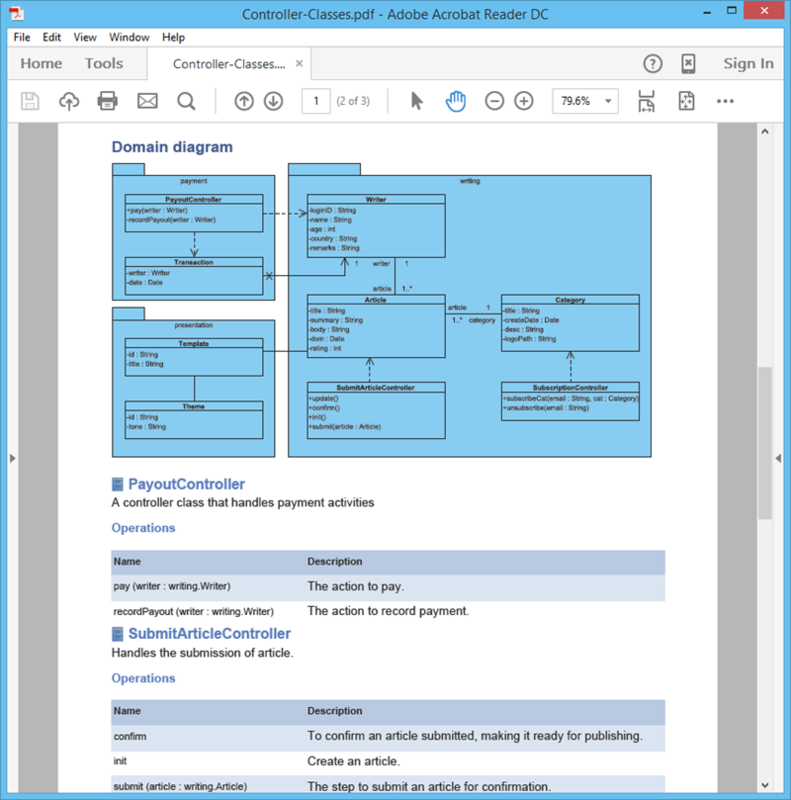 Composer comes with a complete set of built-in element templates, you may still want to customize or even to write your own templates for maximizing the efficiency of document design. You can accomplish this by writing and programming your own element templates. 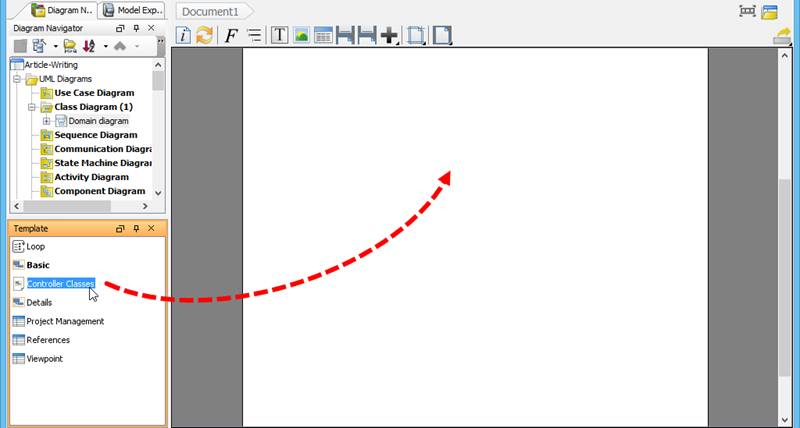 In this article we will show you how to write your own template and use it in building a document. 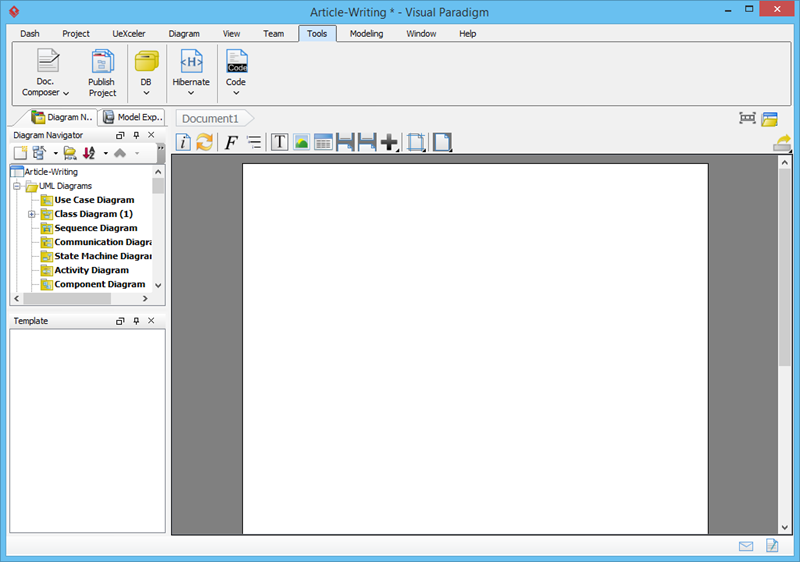 Download Article-Writing.vpp. You can also find this file at the bottom of this tutorial, under the Resources section. 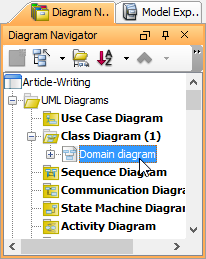 Open the class diagram Domain diagram. The diagram is as below. 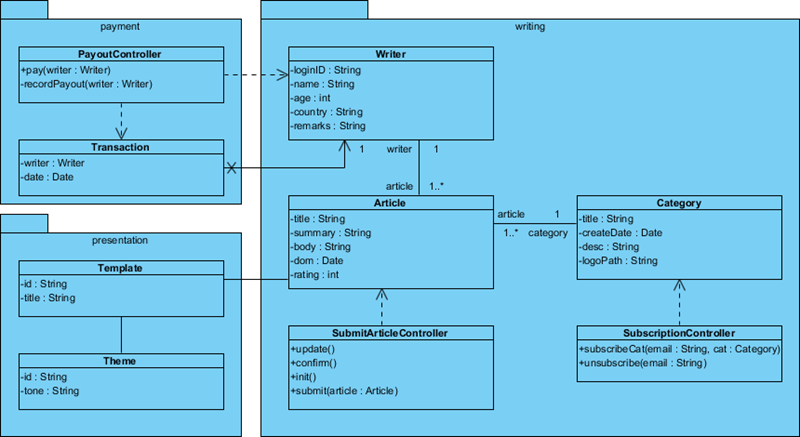 In this tutorial we are going to write a custom template that lists out the operations' details of all controller classes (i.e. classes with names ended with 'Controller'). You have to duplicate an existing template in order to create your own. 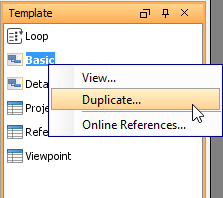 Right click on ANY template and select Duplicate... from the popup menu. Now you've defined a template. 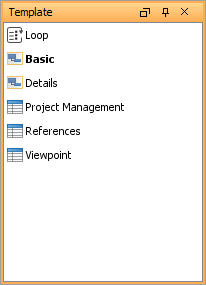 Let's develop a document with it. 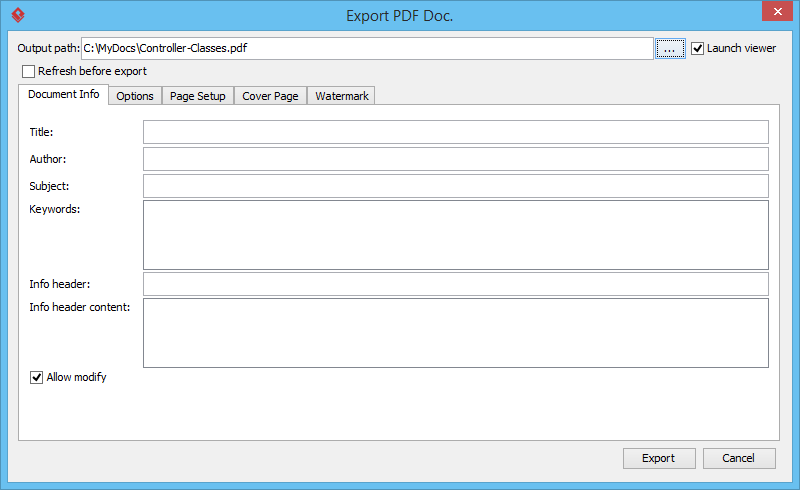 Click Export at the top-right corner of the document and select PDF Document from the pop-up menu.